Wedding Wire's Couple's Choice Award with over 135 Reviews! Dr. Pan, the Owner of Pan String, is a Juilliard - trained musician with a Doctor of Musical Arts degree in Music Performance. The Pan String Quartet specializes in providing elegant live music for your wedding ceremony, cocktail hour, and reception. Live string quartet music will add a special atmosphere for your family and guests. The professional musicians are PhD graduates and members of the Acadiana Symphony, Baton Rouge Symphony, Gulf Coast Symphony, Louisiana Philharmonic Orchestra, and Rapides Symphony. All Pan String Quartet musicians are accomplished professional musicians and we take pride in the high quality of their musicianship. You will hear the difference. The Pan String Quartet has a library over over 300 musical selections in all styles. We are constantly expanding our repertoire. If you request a piece that we don't have yet, we'll find the piece for you. When you contact the Pan String Quartet, whether by phone or email, you will be working directly with Dr. Pan, the Owner. All emails will be returned promptly. He will put your mind at ease with expert musical advice and attention to detail. The Deposit is $100 in order to reserve your date. Estimates are based upon your desire for a String Quartet or String Trio. Estimates are based upon a Prelude + Ceremony, Prelude + Ceremony + Cocktail Hour, Prelude + Ceremony + Reception or Special Event. Cash, Check, and Paypal is accepted. 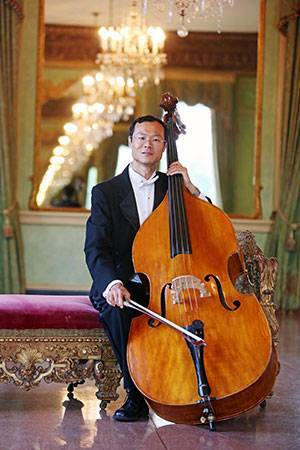 Please contact Dr. Pan, owner and musician of the Pan String Quartet for an official estimate.